Focus really should be the word of the year in 2015. I am a part of a lot of meetings at work, involved at my church, lots of events going on with my family. How in the world can I keep all the things I need to act on straight and in front of me so I don't "drop the ball" on certain items? Every morning, before my day really gets started I do this. It is really quite simple but has to be intentional. I review my calendar for the day to see the meetings that are ahead of me to prepare myself for the expectations ahead. I then move to reviewing my todo list as it is directly impacted by my calendar as there is only so much time in each day. I try to be real with myself when reviewing my todo list. If you can't be real and honest with yourself on what you can do, who can you be honest with. Adjust the list daily. It is always a work in progress. Give yourself freedom to move items as needed. For all my standard meetings that I attend at work, I have a google doc for each meeting. I record action items for me that come out of the meeting. I have a notes section for the meeting where I can capture things that are said. I try to review all these meeting documents on a regular basis and move the action items over to my todo list. Top Drop dead have to do today and very rarely used as it weights the Importance heavily. 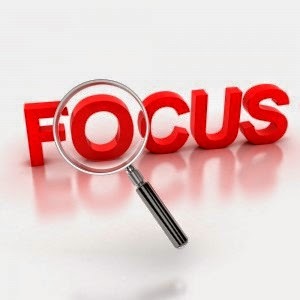 Do you have any tools you use to help bring focus to your day & life? Please share! Reeder has a Zero Inbox? I have a love/hate relationship with email. For so long, I was borderline slave to email. In 2015, I am no longer a slave and here is how I am going to make it happen. Yes, you heard me correctly. Turn off that aggravating count notification telling me that I have 101 emails desperately wanting to steal my attention away from the things that should be my priority; aka: Family or things on the todo list that require my action and focus. I have already turned them off and it has made a huge difference! My personality is to tackle a to-do list and that 101 staring me in the face is a to-do list in my mind. Special thanks to my good friend Dean Lisenby for this big productivity tip! This one bites me. Why is it that we check email knowing good and well we don't have time to act on them. In 2015, I am going to work on the checking email several (designated) times throughout the day instead of all throughout the day. Did you catch the difference? There are so many people that email me that expect me to be eagerly awaiting their emails so I can respond ever so quickly. This is crazy by the way. If you need something in a timely manner, please don't email me and expect it back that way. Either come see me, discuss your issue at our next meeting, or text me. I do try to respond timely, but rest assured, my timely is probably different than yours. For the longest time, my inbox controlled me. No more! Before going home each day, my goal is to have 0 to 4 emails in my inbox. 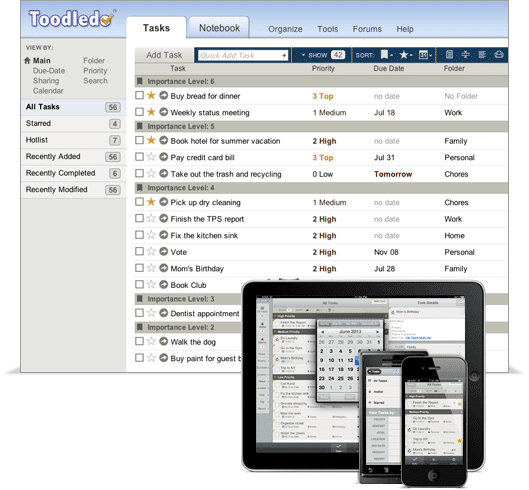 If emails are asking me to do something, they are entered on my todo list so I can control my action items better incorporate with all my other todo items. I then email the individual to let them know I have added it to my to-do list. Say it with me; "Your inbox is not your to-do list"
Sounds simple, but will require work for 2015! As I continue to reflect on my goals for 2015, family is one of the most important goals on the list! Really, this priority falls only behind my faith and its development. Susanne and I read Gary Chapman's book called The 5 Love Languages years ago. My love language is quality time; in other words, the best gift my family can give me is time hanging out. (My wife of 16 years is convinced that it is physical touch but she is wrong. That is me just being a guy). I want to share what I have done as a husband and dad to ensure we have quality time. As a leader, manager, and dedicated employee of ACS Technologies, work can be pretty demanding as I am sure many of your jobs are, too. 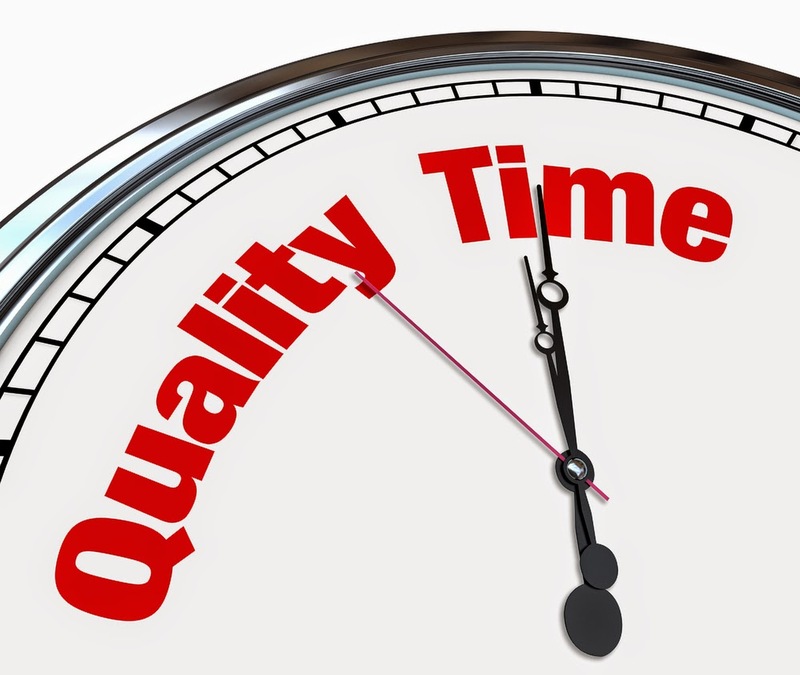 To accomplish Quality Time, I have to be intentional with making it happen. Most days I am at work by 8:15am. Why 8:15 and not 8 on the dot? I value being able to take my kids to school. That quality time first thing in the morning is priceless. My days at work are usually pretty emotionally draining. Leading, coaching, and investing in people is my top priority but also draining at times. If you know anything about me personally, I am a natural introvert (say no more). Back to my point: When I come home from work, my goal is to be home and my focus changes to them. Some days I leave at 5:30pm, others, 7pm. Point is, I get to a place so I can leave my work at work. Simply eat together at the kitchen table when possible. Try not to have cell phones. Try not to leave the table before all are done eating. This makes for a great time to talk with family about their day. The above helps with this. My goals as a dad is to look for the ways to spend time with our kids. It may be watching Les Miserable (kidding, Les Misérables) with my daughter, playing XBox One with my oldest son, or writing a computer program with my youngest. This is so important and probably my biggest area of this list to work on. I am not sure if I could ever do enough here. I know... I hear all sort of productivity people and get-er-done types say don't waste time like that. I disagree though. My marriage is way more important than anything those productivity people say. After we put the kids to bed each night, Susanne and I cuddle up on the couch and watch TV. We don't have cable tv, we have Hulu for current shows (get a free week to try it out) & Netflix for movies and older shows. This time is priceless for our relationship! The item above helps with this. Susanne and I always go to bed together. At the same time. Even if the other is not quite ready. My goal for 2015 is to continue to do the above and alway look for ways for us to spend even more time together. Our kids are growing up and will not be under our care forever. Each moment is precious, and I must be intentional about finding ways to capture as many as I can before it's too late! I don't know about your family, but our family (well, technically the kids and I - Susanne is actually an avid reader) really struggles with reading. I have often quoted others with the fact that "Leaders are Readers" but I have definitely struggled with making it a priority. I have spent the past two weeks on Christmas vacation and hence began thinking through things that I would like to change or commit to do more frequently in 2015 and beyond. The first thing I have been praying about, and will commit to do, is reading more. I have my 2015 Reading list picked out and am ready to make it a priority! I have selected 9 books as of now (that may change) but my desire is to grow in the following areas: faith, family, personal, and career. Do you have have any input on my selections? Any that you have read? Any must-reads that are missing from my list? Please feel free to drop a comment, would love to hear from ya! Over the past few weeks, I have come across several blogs that have mentioned “The Toyota Way.” I thought I might need to check it out. Glad I did. Wanted to share the gist of what I found. Level out the workload, work like the tortoise, not the hare. What are your favorites? Mine have to be #5 & #1! Disclaimer: I have not read the book, but it is on my wish list!